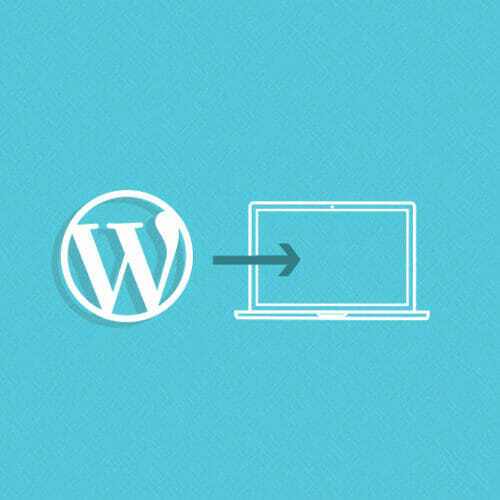 WordPress is a flexible, customizable, and powerful platform for building all kinds of websites—and once you get the hang of it, it’s also pretty easy to use. 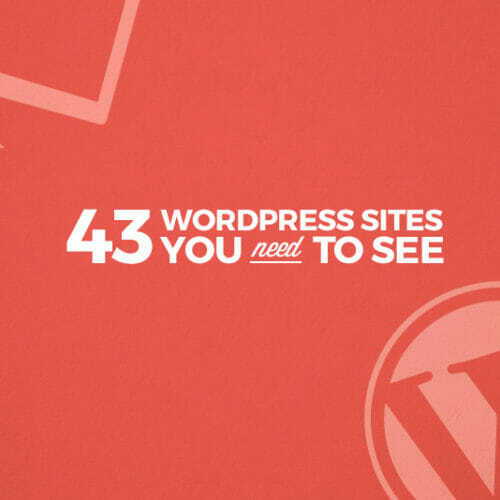 But after your WordPress site is up and running, you’ll find there are certain maintenance tasks you wish you could automate, or usage data you wish you could access to make your site better—and that’s where plugins come in handy. What’s a plugin? Simply put, plugins are programs (free and paid) written in PHP that can be easily installed on your WordPress site in order to provide specific features and functionality. From blocking spam to improving your site’s loading time to making CSS changes without writing a single line of code, there’s a plugin! Read on to learn more about the nuts and bolts of installing plugins, and then check out our quick rundown of 10 must-install plugins that’ll make your WordPress life instantly easier. 1. Search for a plugin in the plugins library. You can download a plugin as a .zip file to your computer, and then upload it to your site. Click the “upload” tab in the top navigation on the plugins settings tab, choose the file, and voila! Your plugin will upload and install itself for you. An important note is that you can only upload files in .zip format, so if you get an error message, check that! The setup for each plugin is slightly different once it’s installed—some require no configuration at all, and others require a bit of work. Once you install a plugin, click on the “Activate Plugin” link, then follow the on-screen instructions particular to whichever plugin you’re using to get it up and running. Akismet is an essential plugin for getting rid of annoying spam in your WordPress comments section. If you’ve spent any time running a WordPress site, you know that blaring ads for products you never wanted and cryptic non-sequiturs hoping to lead you down the primrose path to malware are an unfortunate reality—but they’re a reality you can ignore if you have Akismet installed. Any time a comment, trackback, or pingback is posted on your site, Akismet tests it against a database of known spam offenders, and if the results are positive, the comment gets automatically filtered to a spam folder, meaning it won’t show up on your site. Google XML Sitemaps makes it easier for search engines like Google, Yahoo, or Bing to index your content, ensuring your website is searchable. (XML Sitemaps are files that allow search engines to see and process a list of all the pages on your website.) This plugin will automatically generate an XML Sitemap, and also notify search engines whenever you publish a new post, making it easier for users to find you. And don’t let the title fool you—the files the plugin generates are compatible with all major search engines. MonsterInsights is a powerful plugin that will connect your WordPress site to Google Analytics (a web service from Google that tracks and reports website traffic.) Using MonsterInsights you’ll have access to your site’s real time stats (traffic, page views, clickthroughs, etc. ), be able to see who’s clicking on your Google AdSense banners, easily track PDF and other file downloads from your site, track referrals to see where users are coming to your site from and where they’re going afterward, and more. This plugin is a critical tool for understanding how users interact with your site and using that information to make the most of your traffic—for instance, if MonsterInsights uncovers an influx of users coming your way from a jobs listing site, maybe start offering a free PDF about ways to land freelance developer jobs to grab people’s email addresses. WordPress SEO by Yoast is the ultimate optimization plugin. SEO (search engine optimization) is the process of maximizing traffic to your site through organic (unpaid) search engine results, and Yoast SEO will give you total control over making sure your content is SEO-ready. Yoast SEO lets you determine exactly how your posts will appear in search results, and allows you to check for simple SEO elements that are easy to overlook—does your post contain a searchable image? Is the post properly tagged with a focus keyword? Add in features like WordPress search engine/RSS feed optimization tools, and you can see why there there are over 5 million active installs to date. Soliloquy is a responsive WordPress slider plugin—that means it lets you create sliders (slideshows of images or text on your WordPress landing page, individual posts, etc.) that display seamlessly on desktops, smartphones, tablets, and other devices. With Soliloquy, you can make sliders in a matter of minutes using a drag and drop interface for adding images, pre-built templates for customizing your slider, and the ability to easily use content from blog posts, testimonials, and Instagram images. Sliders are a pretty common part of the WordPress landscape, so go ahead and make them easy to put together. W3 Total Cache will help your site load faster, which—in a tl;dr world—is a must. High resolution images and external scripts (ads and font loaders) can seriously slow down your WordPress site, but W3 Total Cache helps make up the difference. By caching pages, databases, and browser information, this plugin will make it so that these things aren’t dynamically loaded on each page view—they’ll be fetched from a preloaded cache instead. This improves your load times, which in turn improves user experience and search engine rankings. WP Awesome FAQs is a simple—but super helpful—plugin for maintaining a FAQ (Frequently Asked Questions) page on your WordPress site. It’s easy enough to create a FAQ page on your own, but over time as your FAQs change and grow, your FAQ page can get unwieldy. With WP Awesome FAQs you can create an unlimited number of FAQs, each with their own title and description. Once the plugin is installed you’ll have a custom post type available called FAQ where you can easily add new questions as they arise, as well as customize the way the questions are displayed. (Settings include having all answers hidden unless a user clicks on the question, having all answers displayed, or having the answer to the first question displayed and the rest hidden). Video Recorder is a handy plugin for adding interactive video elements into your site in a big (and easy!) way. With Video Recorder installed, you simply paste a shortcode onto any page or post and users will then be able to record short videos (up to three minutes in length). These videos can be testimonials, interviews, contest submissions, auditions, reviews, feedback, or anything else you can come up with. The submissions are collected privately, accessed from your WordPress admin panel, and can then be shared internally (on your WordPress site) or shared on social media or YouTube. CSS Hero allows you to customize the CSS-based appearance of your WordPress theme without using a single line of actual CSS code. In situations where you want to save time, or if a client who doesn’t know how to code needs to make a quick change on the site, CSS Hero is a must-install. Change font styles, manage colors, insert special effects, and adjust measures all through the plugin’s dashboard menu, and CSS Hero will then produce cross-browser compatible code that loads perfectly. If you’ve ever filled out a contact form online (a set of questions or categories on a website, filled out by users), there’s a good chance it was through the Contact Form 7 plugin. Contact Form provides a simple, customizable way of adding contact forms to your WordPress site (e.g. “contact us” for help/more information/advertising, etc). You can customize the look and layout of the form as well as its email contents through a simple markup interface, and Contact Form also works in conjunction with Akismet—if you have the Akismet plugin installed, simply follow the instructions on Contact Form 7’s website to save yourself the headache of spam abuse. I was suggested this website by my cousin. I’m now not sure whether or not this post is written by way of him as no one else realize such distinctive about my trouble. You are amazing! Thank you! After study a couple of of the weblog posts in your web site now, and I actually like your way of blogging. I bookmarked it to my bookmark website list and will probably be checking back soon. Pls try my web site as nicely and let me know what you think. I’ve observed that in the world the present moment, video games are definitely the latest craze with children of all ages. There are occassions when it may be unattainable to drag your children away from the games. If you want the very best of both worlds, there are various educational activities for kids. Great post. Definitely great plugins, i use 3 of them too. But that’s not why i am here i was actually looking for a plugin for my blog site and i ended up here. I actually need a affiliate plugin for my site as it only runs adsense and i need more spice in my earning as i have good traffic now. Searching for affiliate marketing plugins gave me a idea there are so many options out there so if you don’t mind i would like to ask you a question. I found this website ‘revglue’ that is offering those kinda services that i might just need under one platform. I’ll share a plugin list revglue(. )com/free-wordpress-plugins with you as well so you might look into it and suggest me something. Any sort of help is much appreciated. Meet my team is one of my favorite plugin. User Activity Log is also essential plugin like this. Thanks for the article, will definitely be using some of the plugins listed. I came to the article looking for a video plugin, it is such a core website requirement I am wondering if the omission is because they are all not good enough? Any advice would be useful, just want to embed a video in a page that just looks like part of the page, rather than a youtube frame that ends and takes you off to youtube! Great plugins! Wondering how to use that video one now. Sounds like it would be great for a community/membership site. Thanks!